A waiting cab takes these Middle Eastern visitors back to their hotel. 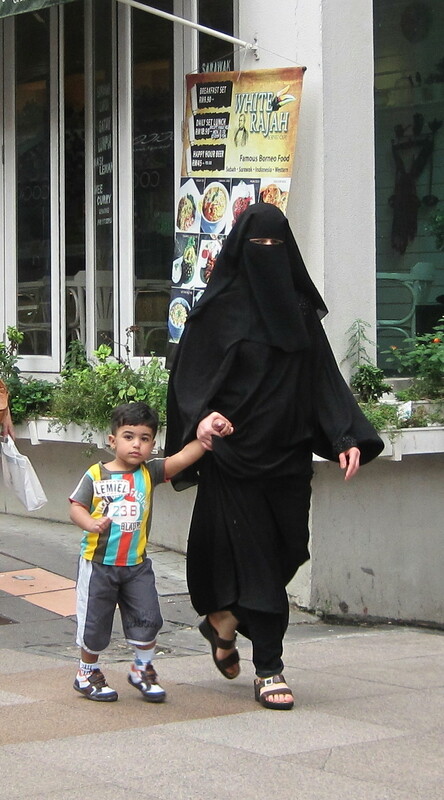 Gulf Arab women in flowing black robes dashing through fancy malls in the Bukit Bintang shopping belt clutching bags of cosmetics, accessories, shoes and toys with children in tow seem to have become a permanent fixture in the tourism landscape in Malaysia. They usually go for branded stuff and locals can barely keep up with the high-spending customers from the Middle East. They are Malaysia's favourite shoppers because they have both money and taste. Malaysia projects an air of warmth and hospitality. It has taken steps to make visitors from West Asia feel very welcome here. Besides English and Malay, arrival and departure announcements at the Kuala Lumpur International Airport or KLIA are also made in Arabic. 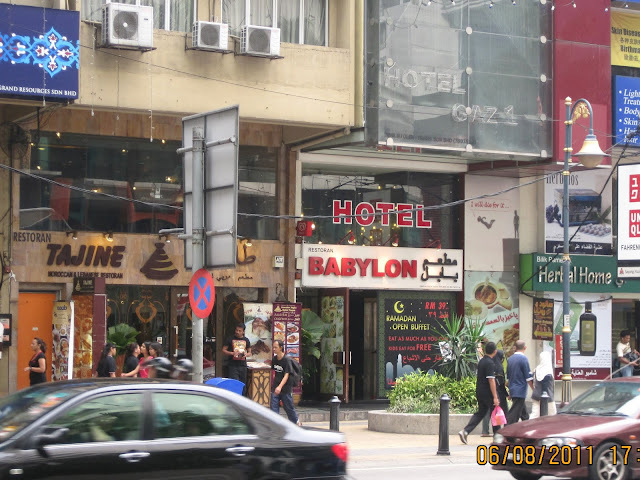 Many hotels in Kuala Lumpur employ Arabic-speaking staff and there is also an "Arab street" in Kuala Lumpur's "Golden Triangle" which offers all things Arab. Only 16 shopping days left until Eid-ul-Fitr. Tourism Minister Datuk Seri Dr Ng Yen Yen recently announced that Ramadan will be promoted as a religious tourism product to attract Middle Eastern consumers. She said this at the launch of the national Ramadan Bazaar 2011 at Masjid Jamek early this month. Ng is banking on "our unique culture, rich variety of food and the festive Ramadan atmosphere" to attract big spenders from Kuwait, United Arab Emirates and Iran, among others. The tourism industry hopes to cash in on a serendipitous occurrence; from this year until 2015, Ramadan falls during summer, which is a holiday season in the Middle East. Malaysia recorded 320,373 tourist arrivals from West Asia last year, a rise of 12.5 per cent from 284,890 in 2009. 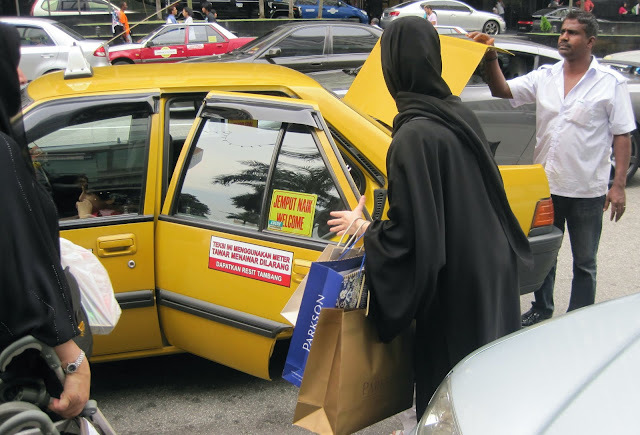 I have no problems with Arabs flocking to Malaysia but I do not like it when bazaar operators charge exorbitant prices for items that do not normally cost so much during the non-Ramadan months. This affects both locals and foreigners. They will now hike the prices even higher -- thanks to Ng's promotional plan. These eateries serve Middle Eastern cuisine.